Sunday night saw our first dip near freezing since last winter. 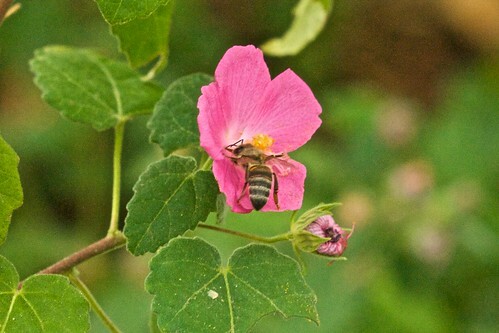 While Central Texas temperatures can fluctuate greatly in December from freezing to high in the 70’s, Austin beekeepers should be making their final preparations for the upcoming winter months. I’d recommend having 4-5 medium supers on your hive to maximize your chances for a successful over-wintering with two of those mostly being honey stores. It is not too late to get some last minute feeding in if you feel the hive does not have enough socked away. Ventilation is also extremely important. As bees warm the hive, condensation can form on the inner cover and then drip down cold water back into the hive. Flipping over the standard inner cover or propping open the cover with some popsicle sticks allows the warmer humid air to escape. 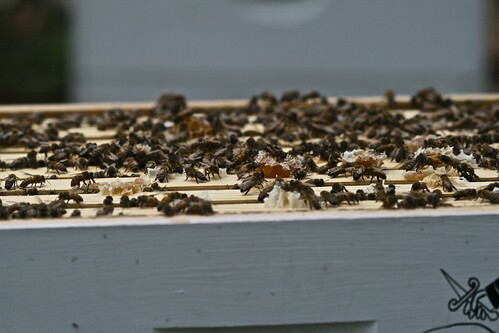 It also allows the girls to add or remove propolis as they see fit to regulate the temperature. I’ve never been one to wrap my hives for winter. 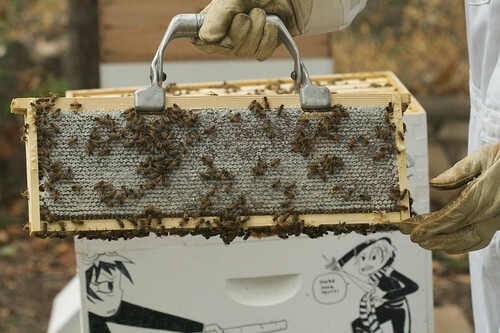 It just doesn’t get that cold for that long here in Austin, and if my bees can’t survive a Texas winter without a wrapped hive, they don’t need to be part of the genetic pool. That’s about it. 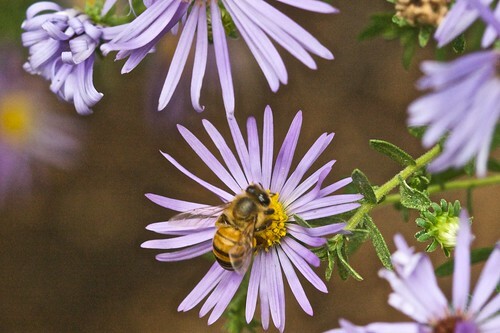 Don’t forget to order new equipment and bees if you are starting new hives next year, and enjoy the next few months off before the Spring craziness starts. 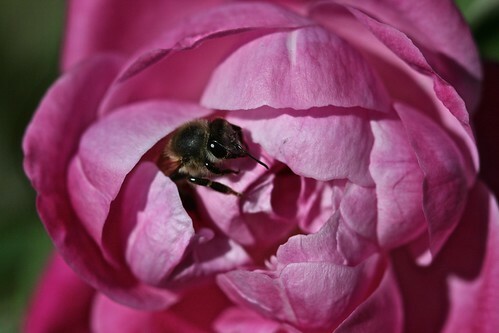 The Most Adorable Bee Ever! 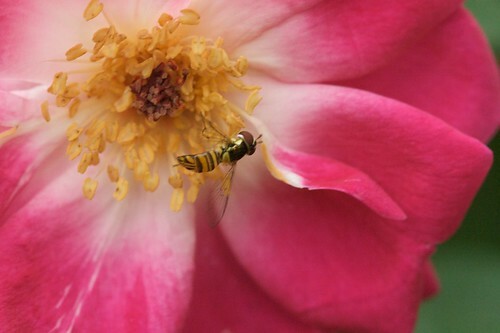 This little bee spent over ten minutes trying to work her way into this antique rose to get to the delicious center. 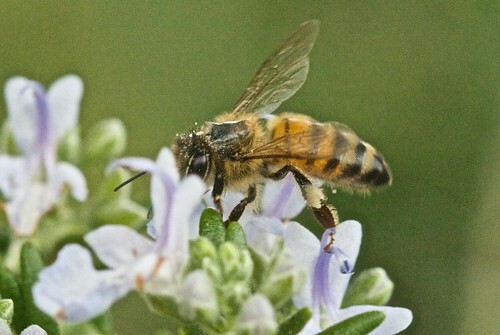 This article from Food Safety News have been making the rounds over the past few days, and has some concerning information for folks buying honey. 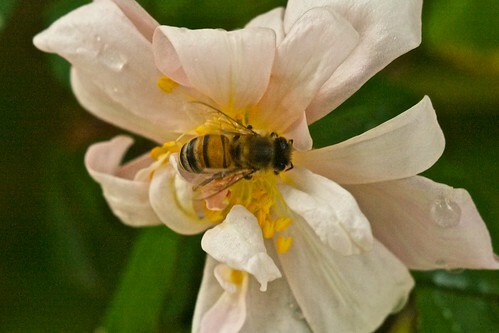 Nearly 75% of honey sold in stores have been heated and filtered to a point where all the pollen has been removed. In fact, if the bottle says it has been ultra-filtered, the USDA doesn’t even consider it to be honey anymore. 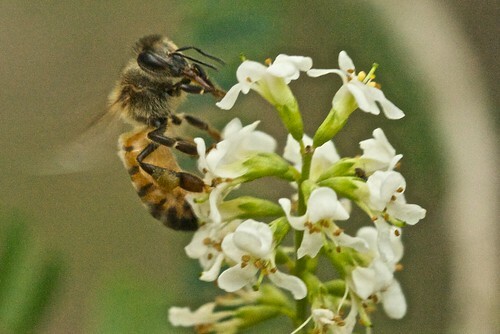 Pollen in honey is like a human fingerprint. 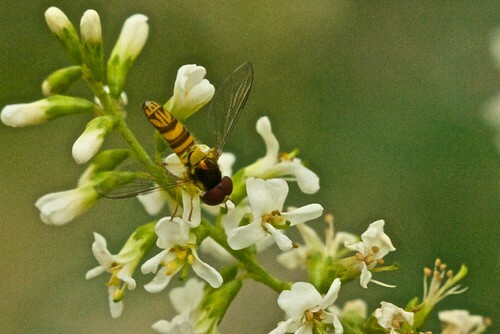 It allows analysis to determine the region where the honey was produced which is an important tool used to help stop the import of foreign honey produced using questionable practices. So make friends with your friendly neighborhood beekeeper or buy locally produced honey at a farmer’s market. What you’ll be tasting is a honey unique to your city or town.